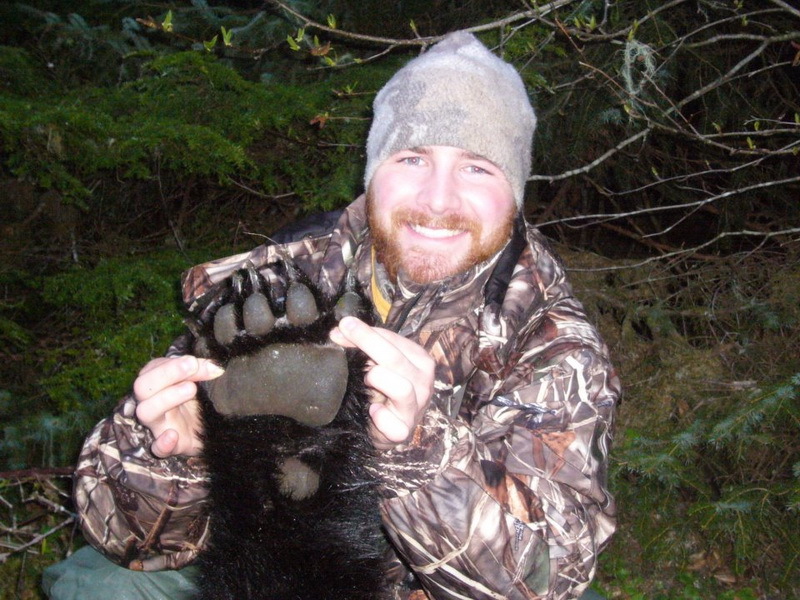 Now is your time to experience the world class black bear hunting from certified Master Guide Keegan McCarthy. Download our free PDF hunting guide. 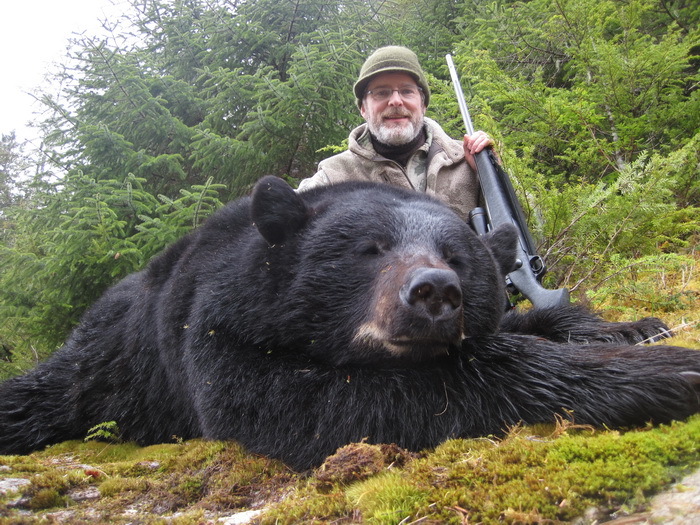 Now is your time to experience the world-class Alaska black bear hunting standards that no other hunting outfitter can match. 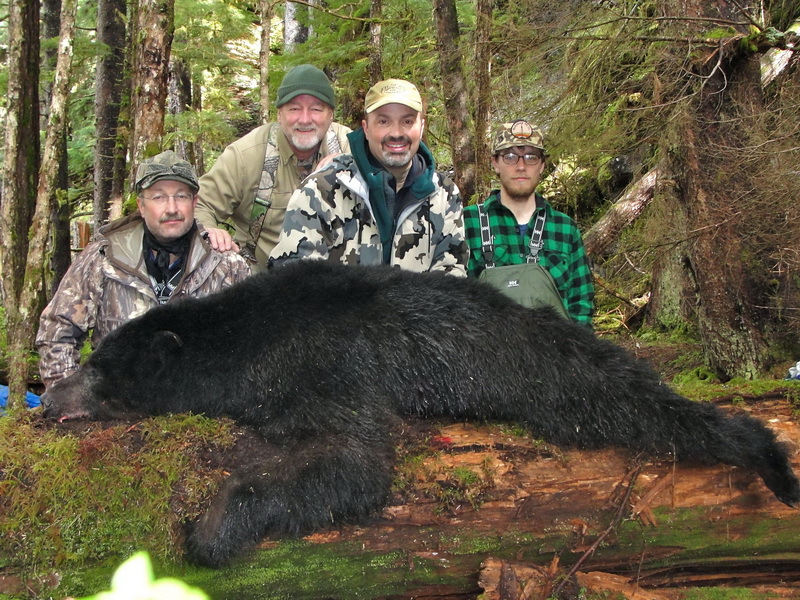 Our close-knit staff of fully licensed professional guides set the standard for knowledge, skill, effort and experience to help you bag your next trophy black bear. 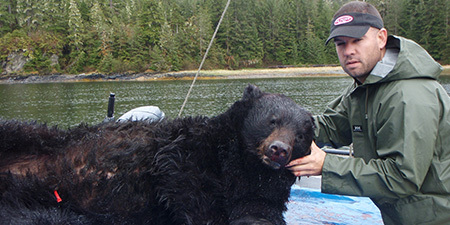 You don’t want to miss the World’s best trophy black bear hunting location… Southeast Alaska. 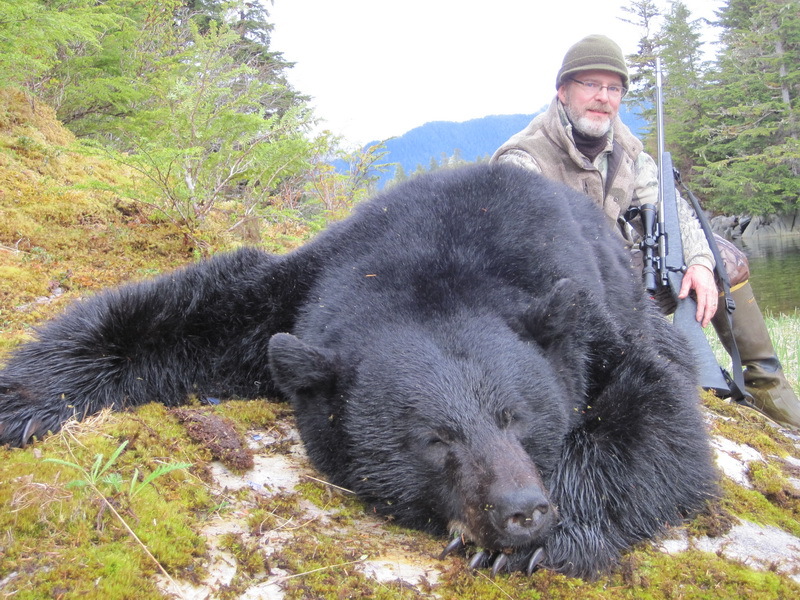 Watch Larry Weishuhn’s Recent Black Bear Hunt! 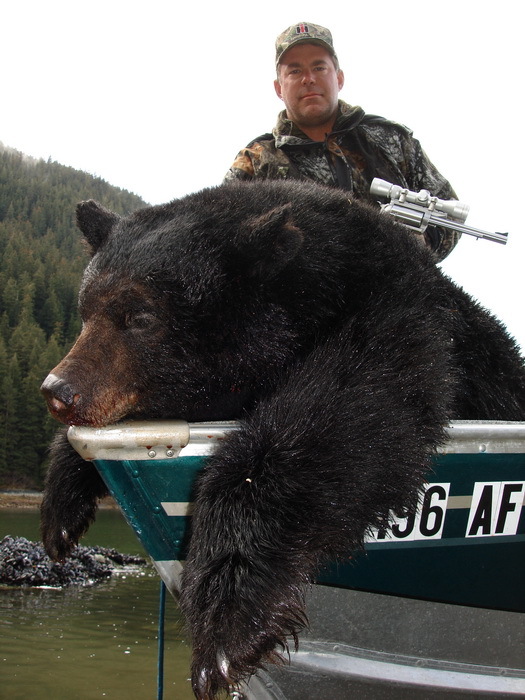 Our typical hunting style consists of cruising shorelines in our comfortable, top of the line skiffs and glassing for black bears. 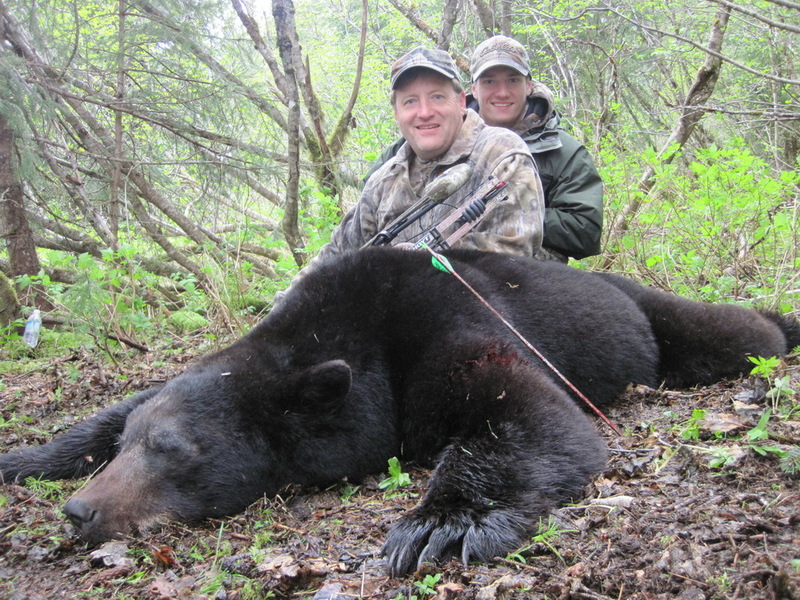 Our archery black bear hunts are some of our favorite types of hunts and gives archers the ability to take black bears at around 30 yards. 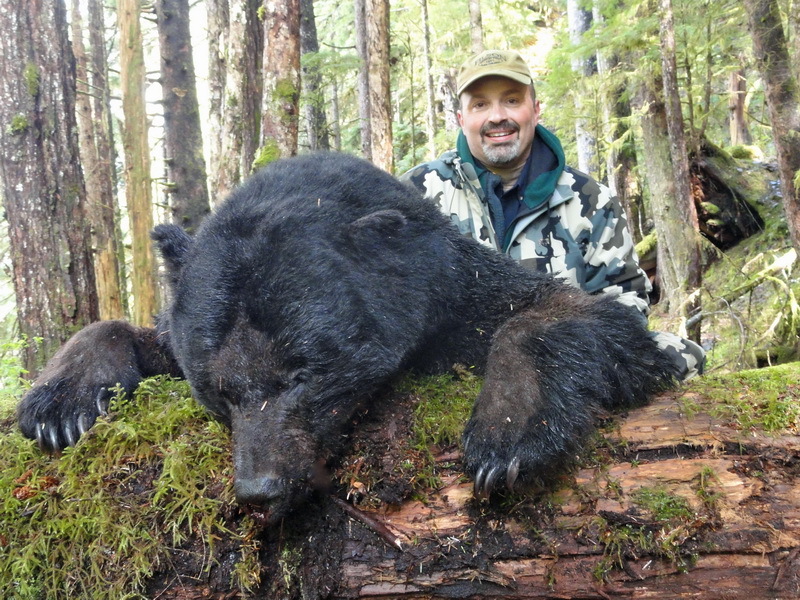 This intimate experience–stalking your way up to your Pope & Young trophy black bear, with the ocean and mountain backgrounds–will leave you breathless. Our spring hunts are all fair chase, spot and stalk beach hunts. We will be spending the nights on our luxury 70′ expedition yacht and spend days cruising in comfortable 16 foot skiffs looking for bears in various bays and fjords. Not only is this an effective way to hunt, it provides for a beautiful, unforgettable hunting experience. Our spring hunts are highly successful: we have been 80% for the last five years with all of our clients going home with excellent trophies. 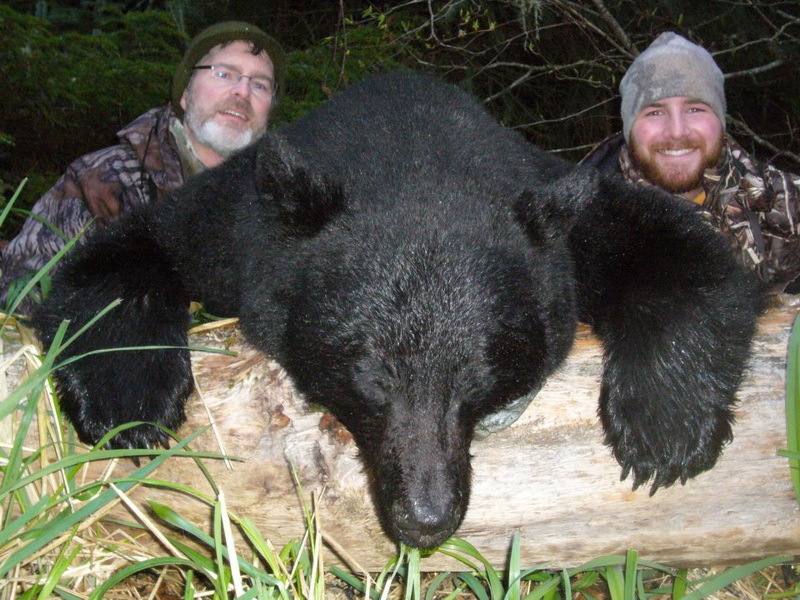 In the last few seasons we have had a 19 ½ skull average with multiple bears reaching 21 inches. We take on average 2 to 3 large cinnamon phase bears per spring, with one reaching the elusive 8 foot mark in spring 2006. 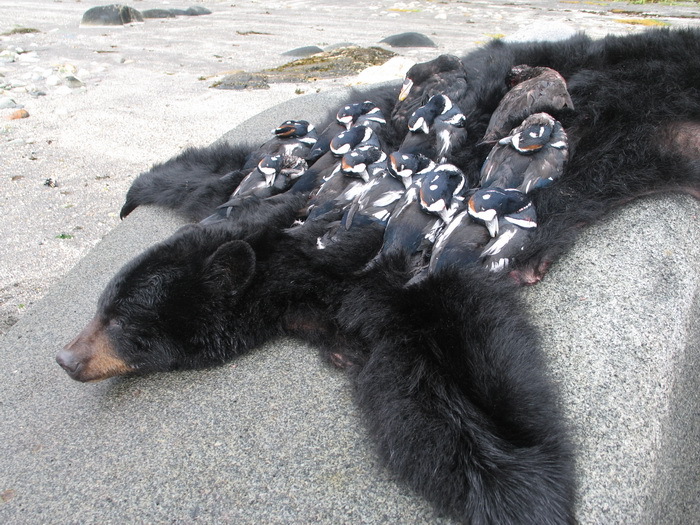 Most of our bears are taken within 200 yards of where we put the boat on the beach. Clients of any physical condition can be successful. Our shots range from 30 yards for archery to 150 yards for rifle. We gladlyt welcome archery hunters and if you are proficient with a bow you should have no problem going home with a P&Y class bear. In the last 5 years all of our archery hunters have had a shot opportunity. We have also had great success with handgun and black powder hunters. Both our spring and fall hunts are very successful. Spring can be successful for hunters of any ability, while fall hunters will need to be in reasonable physical condition. 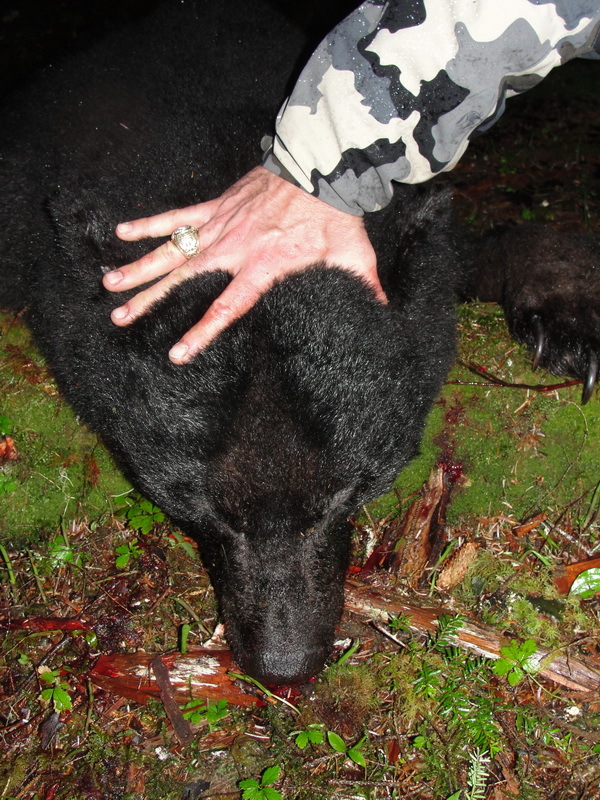 We have been harvesting trophy black bears for many years in SE Alaska. 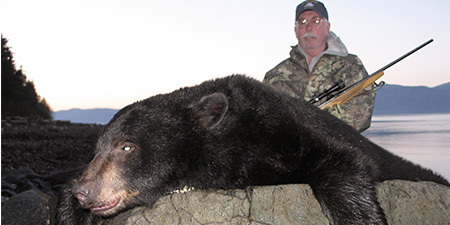 Black bear season opens September 1st, two weeks before the brown bear season. This allows us to be out on the streams in search of large black bears long before it’s time to chase the browns. 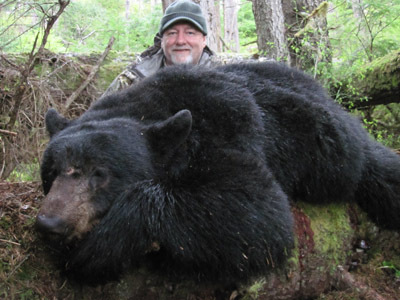 We hunt separate areas for black bears in the fall than the brown bears. 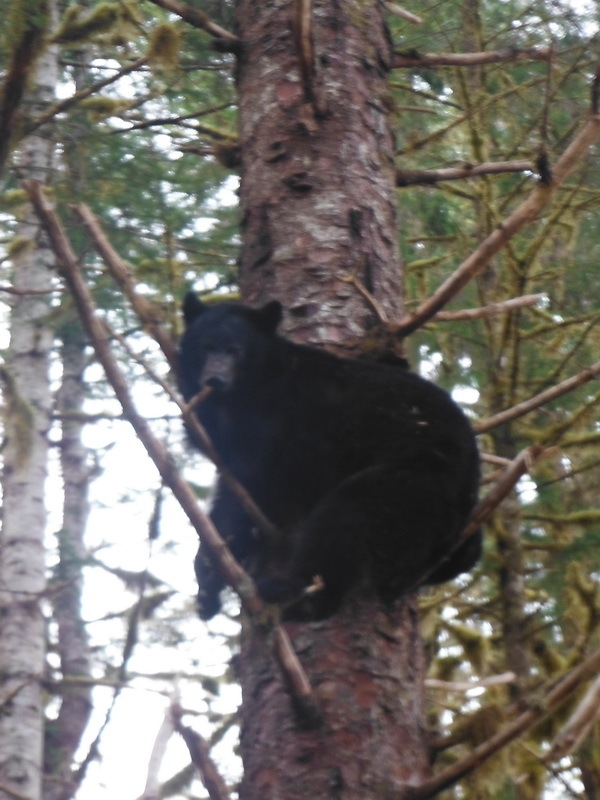 We have areas that have high density of black bears who will be frequenting the streams in search of salmon. 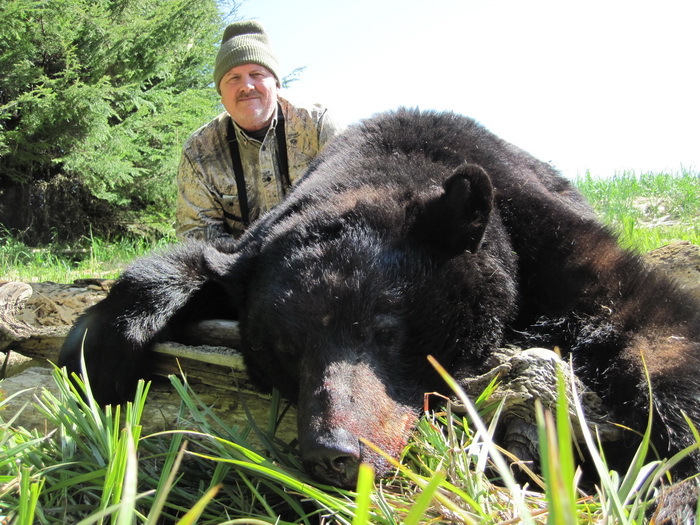 This is an exciting interactive hunt and can be physically demanding. For hunters who want the ultimate hunting experience, we offer two boats to hunt from: The M/Y Golden Eagle and the M/V Sikumi. 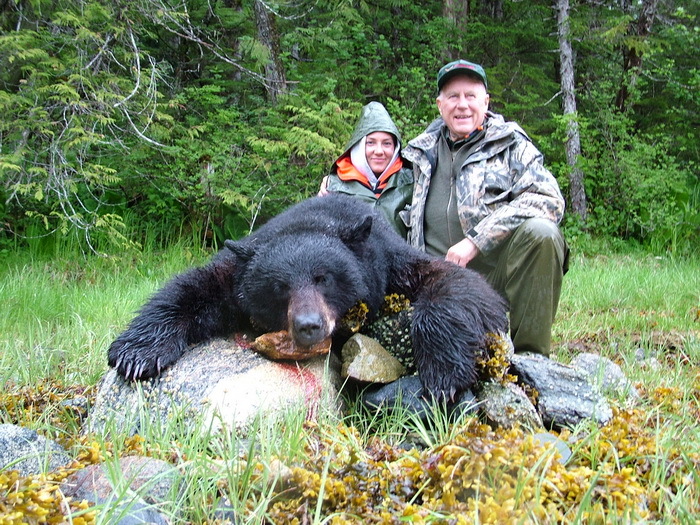 We offer hunts on the SE Mainland between Juneau and Petersburg Alaska. We have conducted hunts in this area for nearly 20 years wih phenomenal success. This area boast large numbers of bears, as well as the occasion color phase bear. These hunts are available on any of the three vessels.